A Recovering Pastor: Are 12 step programs church? Are 12 step programs church? I've been attending a 12 step meetings everyday for the past 44 days and what I witness, is what I define, as church. It's all about God, relationship and traveling through this messy thing called life together. There is sharing, prayer and potlucks. But central to every meeting that I've attended is the theme of how our Higher Power is at work in our lives. I did not grow up in the church. My first exposure to understanding God was in Overeaters Anonymous over 25 years ago. That quest to find a Higher Power sent me on a journey to discover many religious perspectives on God. Over time, I claimed the Christian God as a way to speak about my spiritual experience and learn from the stories and teachings of the Old and New Testaments to shape my faith further. It's important to say that not all 12 step groups are my cup of tea. Just like churches, meetings have personalities and it takes meeting hopping, like church hopping, to find your tribe. But most definitely I respect the varieties of religious experiences in those rooms and I learn great nuggets of wisdom from fellow alcoholics and addicts. It is my intention to share those nuggets, without specific stories or names (it is anonymous after all) on this blog. I hope you enjoy. Last year while we were planning (way too many) events for Pride and discussing Pride Sunday, a day to share inside a church the joys and hardships and love within the LGBTQ+ community, I had a fellow board member say, "Isn't that like an AA meeting?" and I didn't know how to answer him. He had said it as an insult but it could have been a compliment, if he wanted to be, which he didn't. Nonetheless, it was a lovely Pride Sunday. There, surrounded by people who came to worship a Higher Power. 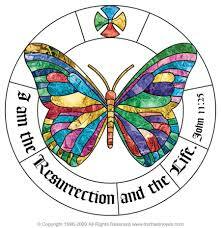 Born again believers, recovering Catholics, a practicing Buddhist all there gathered in the same place at the same time for the same reason. And we were together. Our backgrounds didn't matter. Our choice of music wasn't a concern. Our knowledge of the Bible -or any other religious scripture- didn't even come into question. 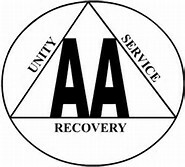 Of the several AA meetings I have been to, each seemed like it was a church of some way. A gathering of like-minded folks coming together to grow outside of themselves; separately together.